Own and Operate a Sunset Grill of Your Own! 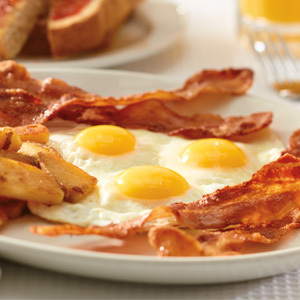 Owner-operated, California Style Breakfast Restaurant with a warm and friendly community atmosphere. Featuring fresh grilled breakfast and lunch prepared in an open kitchen. On March 20th 1985, Sunset Grill opened its doors for the first time on Queen Street East in the Beaches area of Toronto, Ontario. The California inspired concept was named after the Don Henley hit song, “Sunset Grill.” The goal was to become the best breakfast restaurant in town and to keep it a one-shift specialty operation. Following the simple formula that “Fresh is Tastiest™”, Sunset Grill quickly became very popular with long lineups of loyal customers. 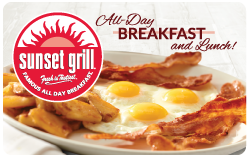 Today, Sunset Grill is Ontario’s favourite breakfast restaurant with 80 locations and growing. Sunset Grill is focused on growing our franchised units across Ontario, Alberta and select U.S. and International markets. The chain will concentrate on high traffic and highly visible street locations in addition to freestanding pad sites and end caps with patio (where possible). Street units require 1,000 to 1,500 square feet with basement areas while pad units require approximately 2,200 square feet. Numerous prime locations still available in Ontario. Now expanding across Canada and select US and International markets. Why Partner with Sunset Grill? One-shift operation (7 am to 4 pm daily) ensures zero down time and maximizes profits. A one-shift operation also allows you to go home every night and spend quality time with your family – without worrying about the restaurant! We strive to be the best breakfast restaurant in town. We take pride in providing a warm, friendly and clean atmosphere for our customer’s enjoyment and satisfaction. We serve only the highest quality fresh foods and use the healthiest cooking methods.